I know what you are thinking… How many different ways can this girl make Brownies? Well, so far, 11. One of Jorge’s favorite desserts is a brownie. He doesn’t care what I do to it, as long as there is a fudgey chocolate base. I made brownies from scratch because I find baking to be relaxing. If you aren’t into that and are more like my mom, please buy yourself a box mix. It’s all the same, no judgement here. 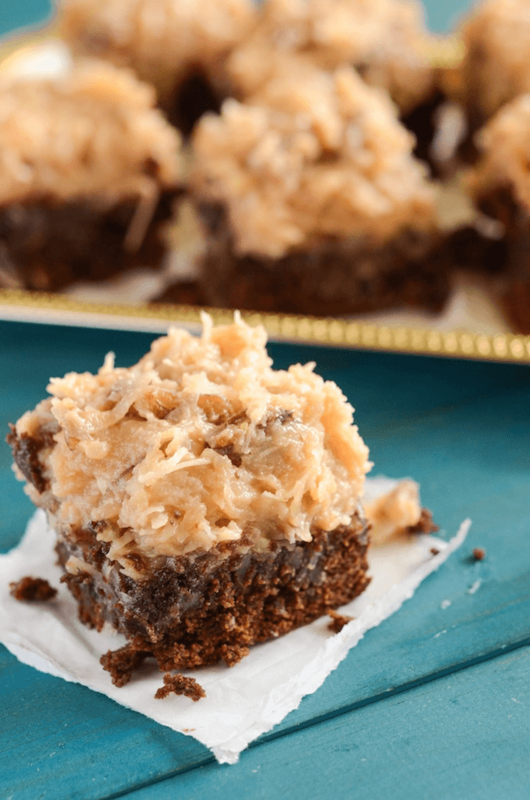 Then make this amazing german chocolate topping and slather it on thick. Brownies, coconut & pecans? What could be better?! 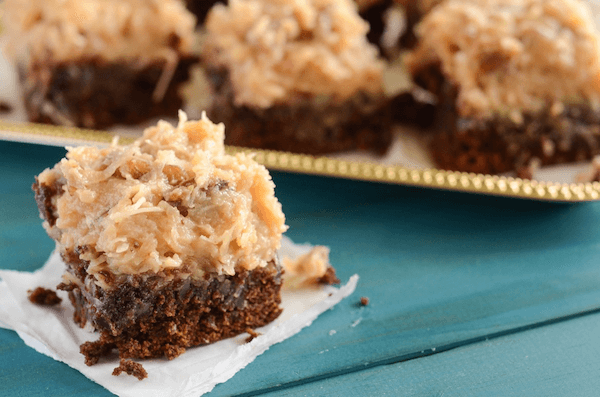 Head on over to Dixie Crystals for the RECIPE! Next Post » Pink & Gold Twin Birthday Party – Ellie & Lyla’s First Birthday!